All items for sale on Amazon.com have identifiers. The ASIN (Amazon Standard Item Number) is an alphanumeric token that uniquely identifies items in the Amazon marketplace. All items in the marketplace have an ASIN. The ISBN-10 (International Standard Book Number) is an alphanumeric token that uniquely identifies a book. The “-10” is a 10-character version of the ISBN. 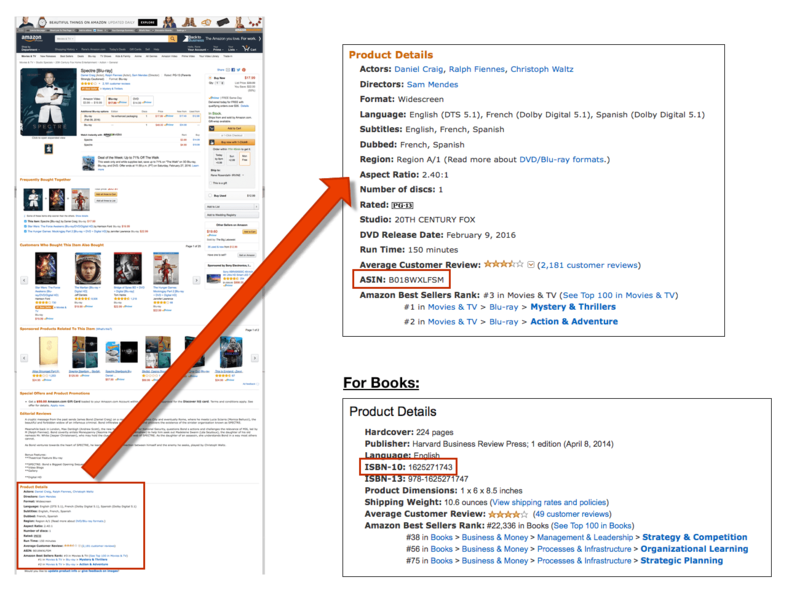 The ASIN or ISBN-10 are the way PriceTracker for Amazon queries the Amazon API to retrieve item information. Where can I find the ASIN or ISBN-10? When you’re looking at an item detail page on Amazon.com, scroll down to the section called “Item Details”. There you’ll be able to find the ASIN or ISBN-10 (for books). Or just use the Find function (CMD-F) in your browser to find these codes. PriceTracker added my item, but there’s no price – why? For some items, the Amazon API (application programming interface, a public way to retrieve information from Amazon) provides general item information, but no prices. In these case, the item will be added to PriceTracker, but without a price. Every time you refresh prices, PriceTracker will continue to attempt to retrieve a price in case it becomes available later.